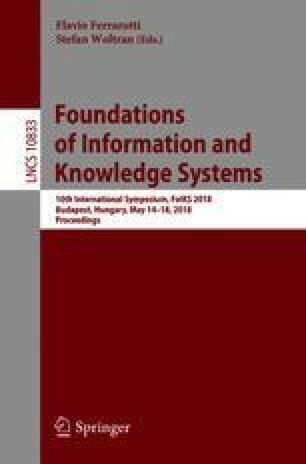 A correspondence between database tuples as causes for query answers in databases and tuple-based repairs of inconsistent databases with respect to denial constraints has already been established. In this work, answer-set programs that specify repairs of databases are used as a basis for solving computational and reasoning problems about causes. Here, causes are also introduced at the attribute level by appealing to a both null-based and attribute-based repair semantics. The corresponding repair programs are presented, and they are used as a basis for computation and reasoning about attribute-level causes. L. Bertossi—Member of the “Millenium Institute for Foundational Research on Data”, Chile. This research was supported by NSERC Discovery Grant #06148. Part of this work was done while the author was spending a sabbatical at the “Database and Artificial Intelligence” Group of the Technical University of Vienna with support from the “Vienna Center for Logic and Algorithms” and the Wolfgang Pauli Society. The author is extremely grateful for their support and hospitality, and especially to Prof. Georg Gottlob for making the stay possible. Many thanks to the anonymous reviewers for their excellent feedback.